Issue - Today , some laptop users started reporting as they are unable to connect to corporate wireless after System Center Endpoint protection(SCEP) installation took place. I found, most of the laptop users were having this issue. Troubleshooting done - I immediately uninstalled SCEP but that didn’t help , tried removing Wi-Fi profiles under the path ‘C:\ProgramData\Microsoft\Wlansvc\Profiles\Interfaces\Interface’ but that didn’t help too. Error- When checking event viewer, the only error that showed up is as follows 5 times in a row. “Error skipping EAP method DLL path name validation failed. Error: typeId=25, authorId=0,vendorId=0,vendorType=0”, This error indicates a registry or missing corrupt file issue. 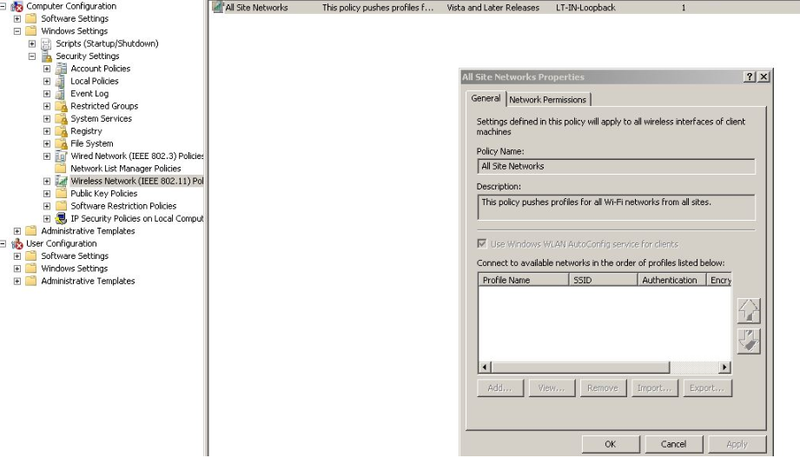 ‘EAPHost is a Microsoft Windows Networking component that provides an Extensible Authentication Protocol (EAP) infrastructure for the authentication of following protocols such as 802.1X and Point-to-Point(PPP). While checking the event viewer found above error, lead me to think that’s a registry issue. I immediately checked the registry path under HKEY_LOCAL_MACHINE\SYSTEM\CurrentControlSet\services\RasMan\PPP\EAP found Symantec .dll files were registered, I exported the EAP registry files from working machine and imported in to the affected machines , rebooted the system and it connected back to WiFi successfully.